Basil is officially in season! Want to capture some of that freshness for winter? 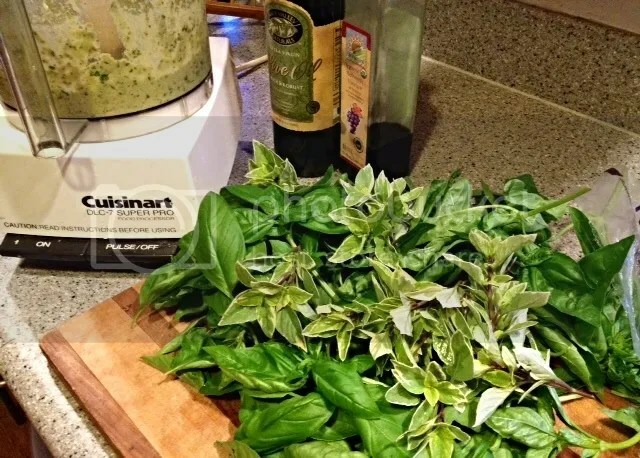 Make and freeze some pesto now, while supply if plentiful and prices are good. Don’t worry if you can’t eat dairy. Pesto can taste just fine without the usual addition of Parmesan cheese. Yesterday, I substituted a fresh peach and a pinch of chile flakes for something fun.